Hanoi (VNA) - Vietnamese shares rose on both local bourses on March 1 as investor confidence improved after China cut its reserve requirement ratio to boost trading liquidity in the banking sector. 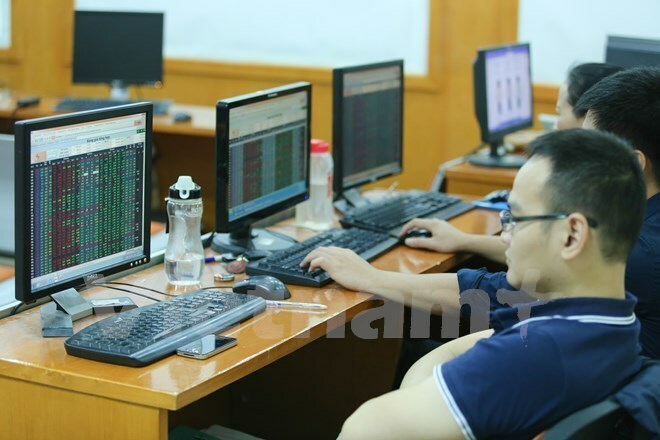 The benchmark VN Index on the HCM Stock Exchange edged up 0.4 percent to close at 561.56 points and the HNX Index on the Hanoi Stock Exchange gained 0.3 percent to end at 78.96 points. The indices rebounded from previous day's decline as investor confidence became more positive after the Chinese central bank reduced the amount of cash that banks must have as reserves to support the banking sector's liquidity, Maritime Securities Corporation (MSI) wrote in its daily report. Higher investor confidence increased the value of large-cap stocks, such as software producer FPT Corporation (FPT), which added 0.8 percent, HAGL Agricultural JSC (HNG), which gained 1.2 percent, plant grower Hoang Anh Gia Lai JSC (HAG), which rose 2.4 percent, and dairy firm Vinamilk (VNM), which increased 1.5 percent. Several stocks made gains on investor expectations that these companies will allow more foreign ownership. Among those companies, Refrigeration Electrical Engineering Corporation (REE) surged 6.1 percent after the firm on March 1 announced it would increase foreign ownership by 5.3 percent to 49 percent. Hoang Quan Consulting-Trading-Service Real Estate Corporation (HQC) added 1.8 percent, extending its gains to 3.6 percent after the company announced it would consider a raise in foreign ownership. Local energy stocks also helped lift the markets after crude prices extended rallies on March 1. US benchmark crude West Texas Intermediate (WTI) was up 1.3 percent to trade at 34.20 USD a barrel. WTI has risen 15.4 percent in the last eigtht trading sessions. London-traded Brent crude added 0.8 percent to trade at 36.87 USD a barrel, gaining 11 percent in the last five trading days. Among local energy stocks, PetroVietnam Gas Corporation (GAS) rose 2.1 percent, PetroVietnam Drilling and Well Service Corporation (PVD) increased by 2.4 percent, and PetroVietnam Coating Corporation (PVB) jumped 3.1 percent.